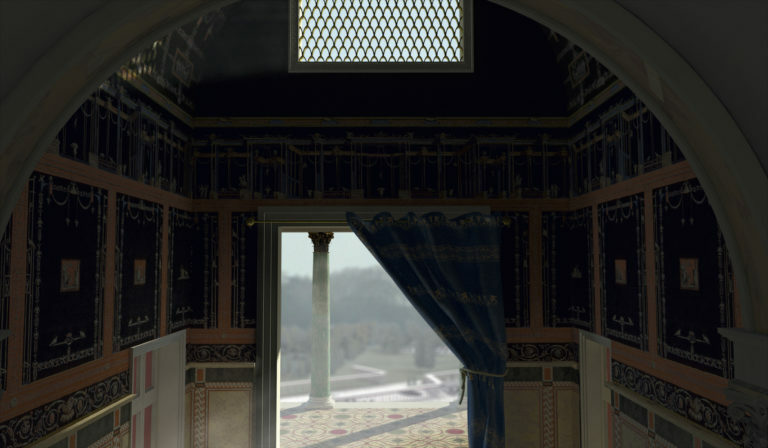 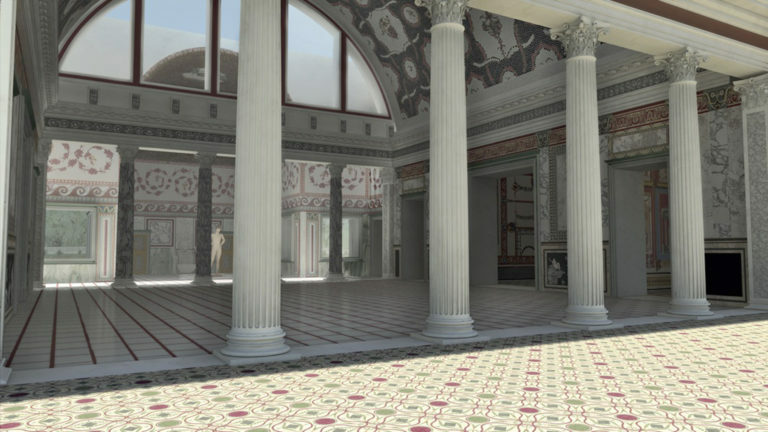 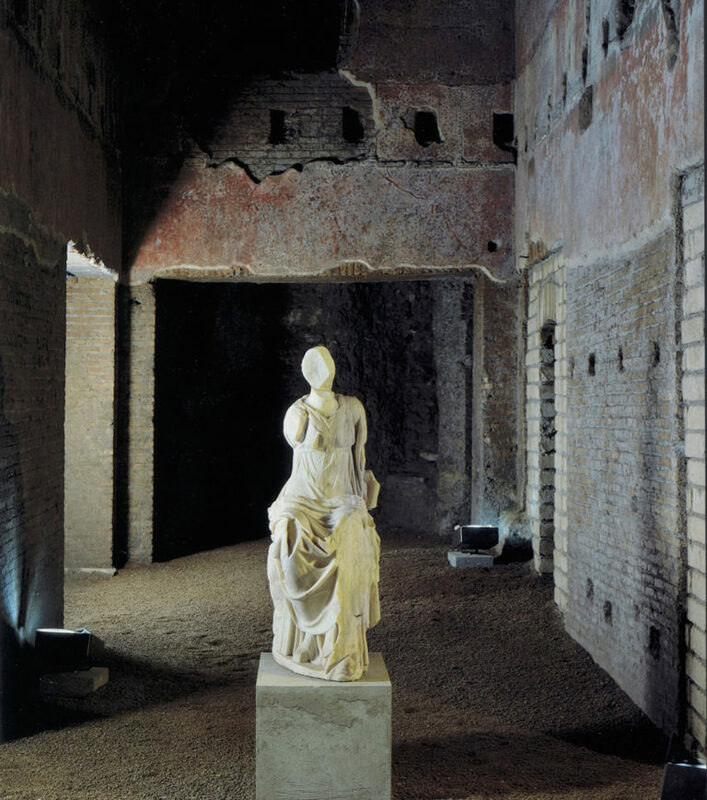 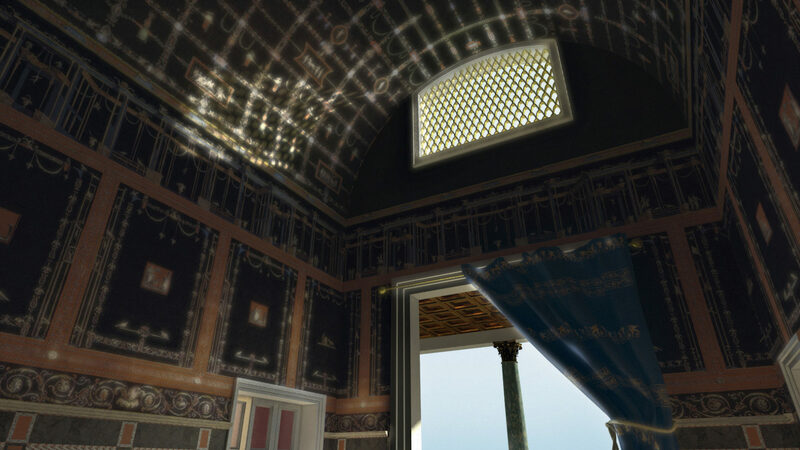 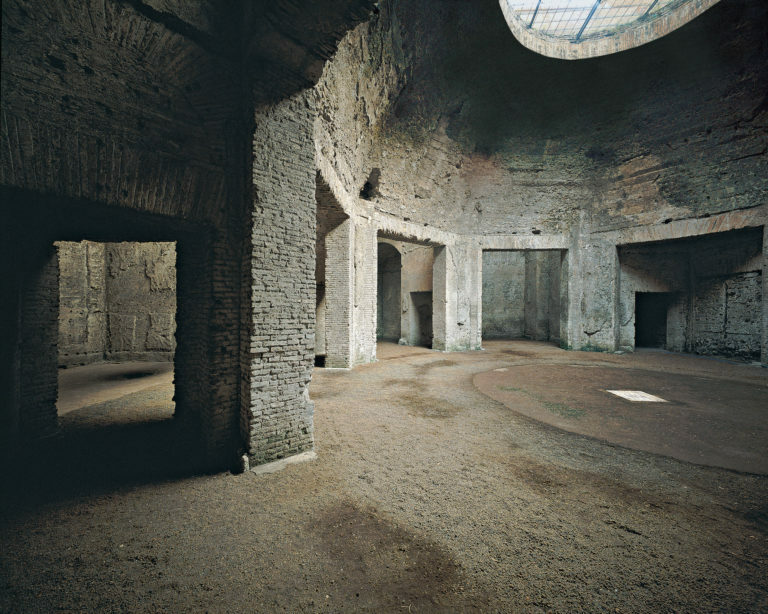 After the devastating fire of 64 AD, which destroyed much of the centre of Rome, the emperor Nero began building a new residence, which for pomp and splendour went down to history by the name of the Domus Aurea. 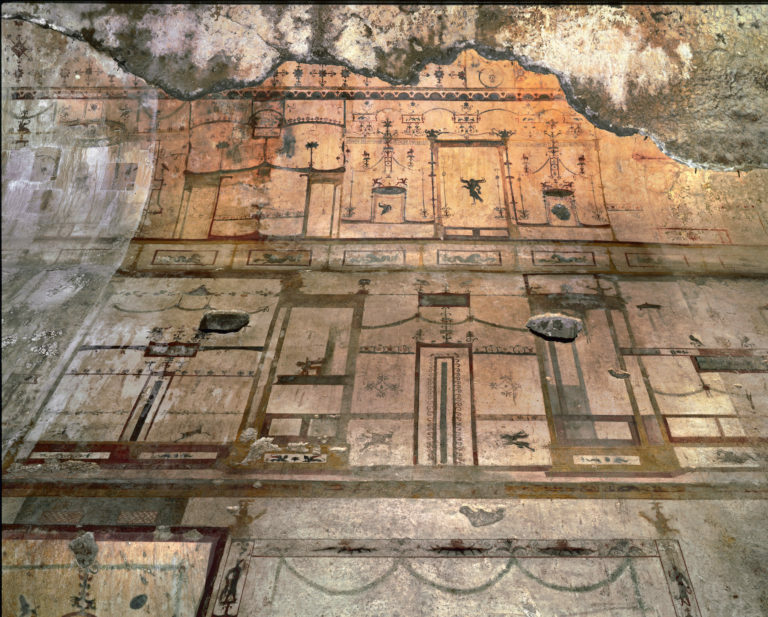 Designed by architects Severus and Celer and decorated by the painter Fabullus, the palace consisted of a series of buildings separated by gardens, woods and vineyards and an artificial lake, which lay in the valley where the Colosseum stands today. 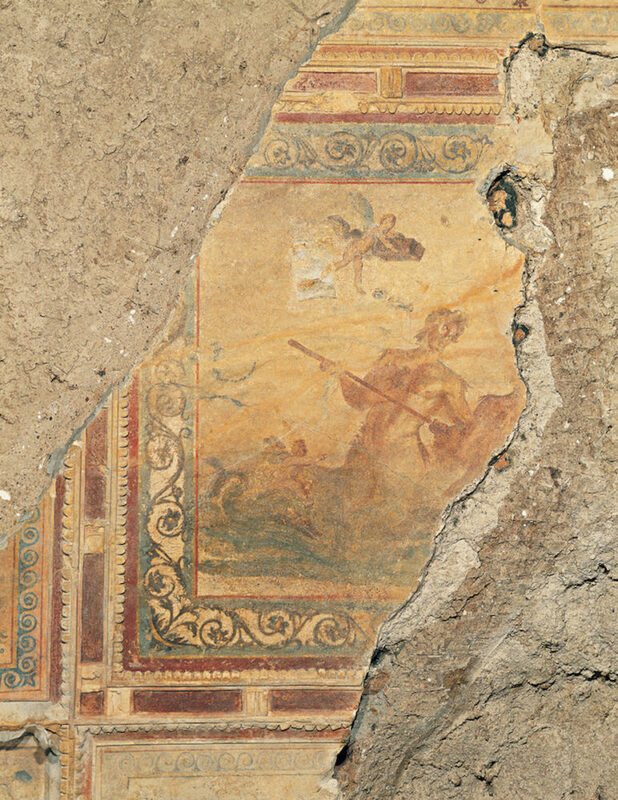 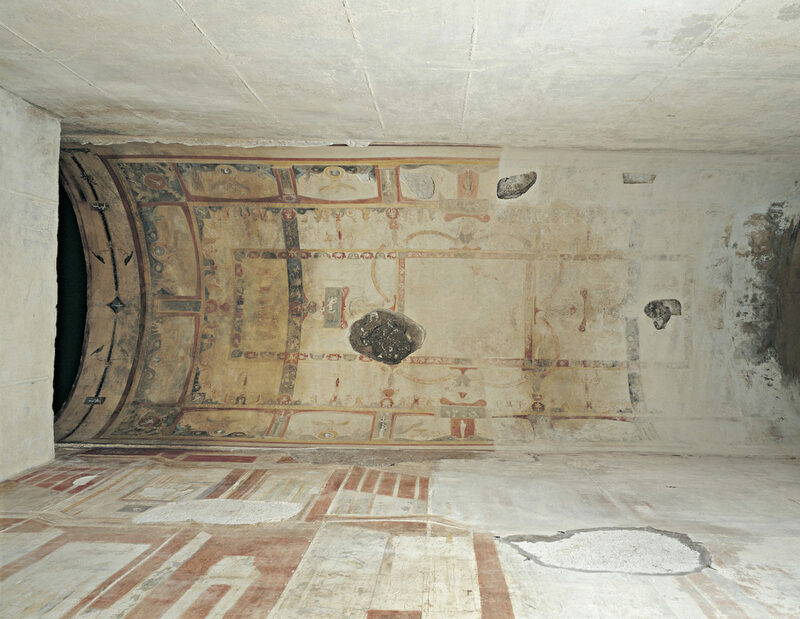 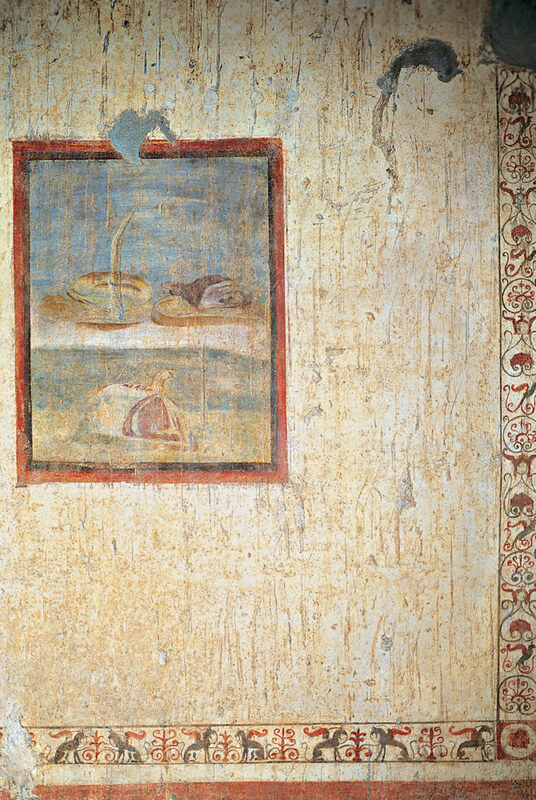 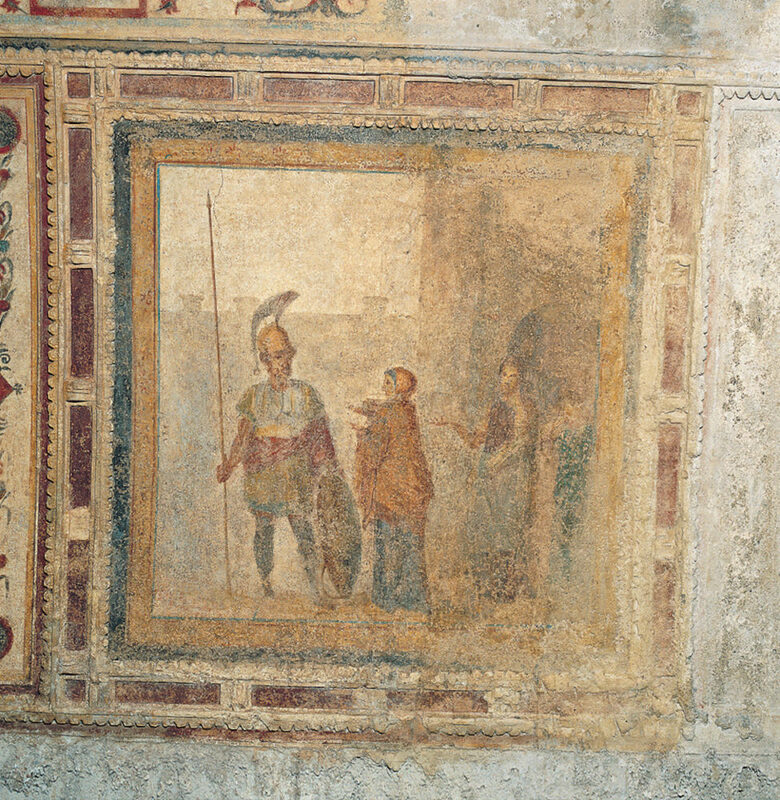 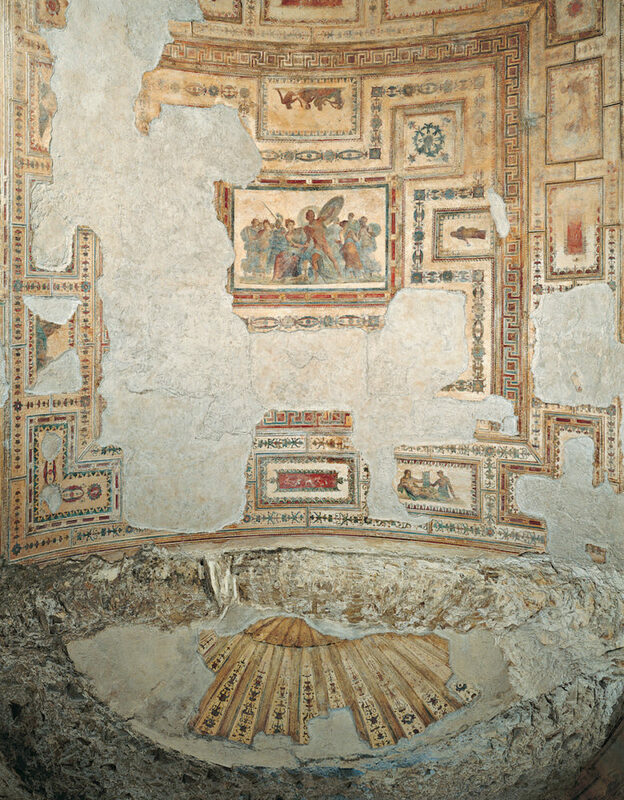 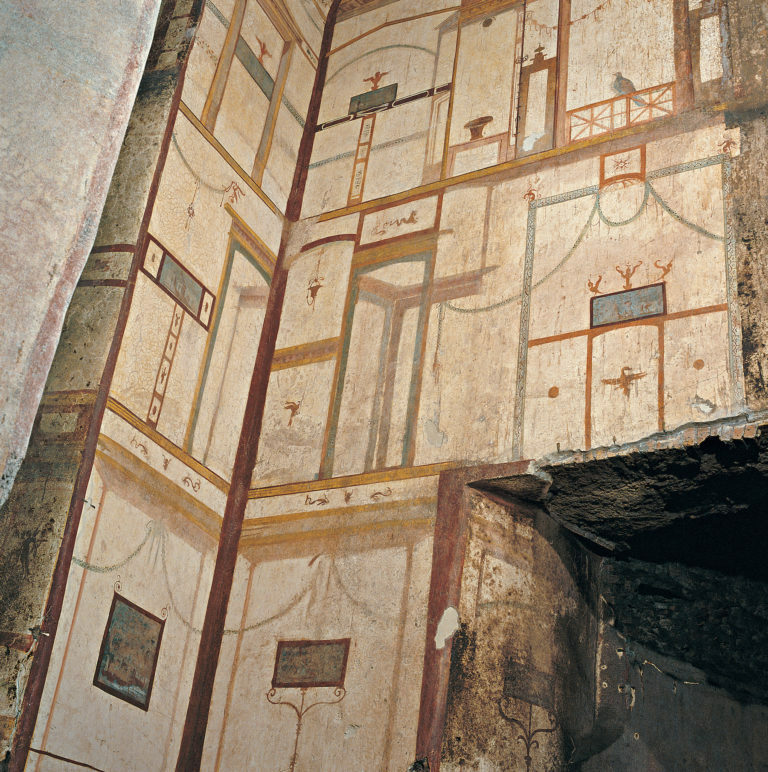 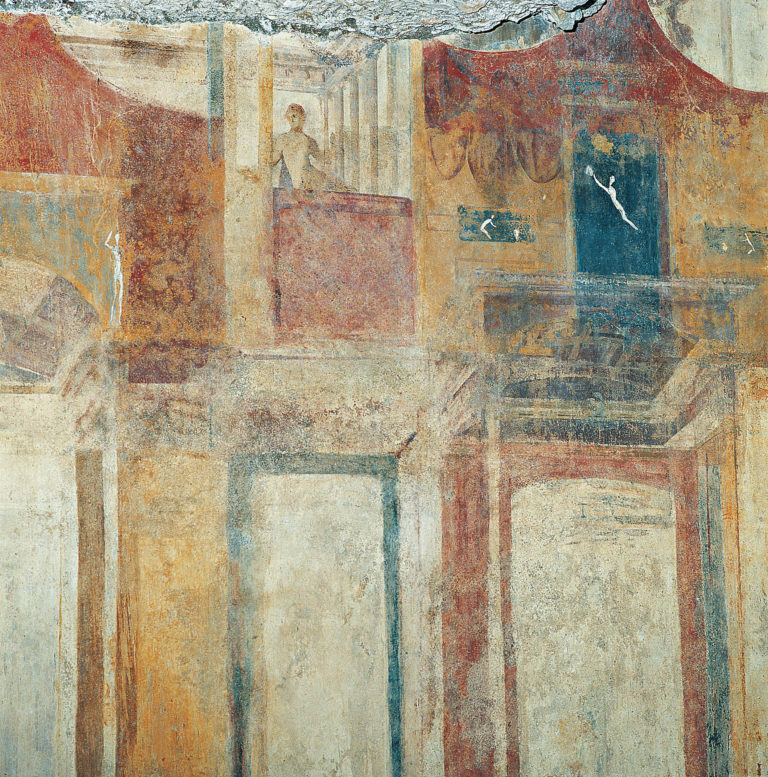 The main nuclei of the palace were on the Palatine Hill and Oppian Hill and they were famous for the sumptuous decoration in which gold and precious stones were added to stuccos, paintings and coloured marbles. 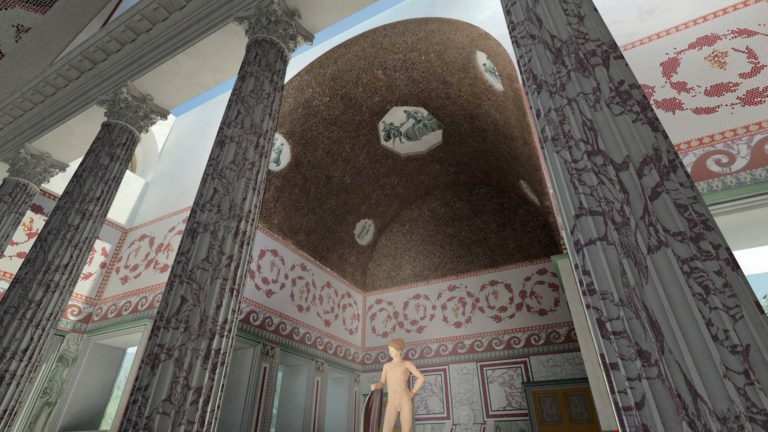 The huge complex included bathrooms with normal and sulfurous water, several banqueting rooms, including the famous coenatio rotunda, which rotated on itself, and a huge vestibule that housed the colossal statue of the emperor in the garments of the Sun God. After Nero’s death his successors decided to erase all traces of the emperor and his palace. 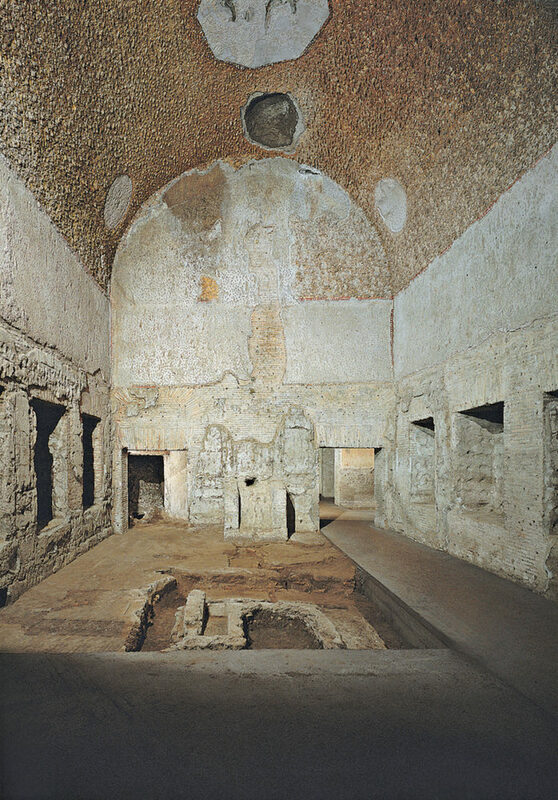 The luxurious chambers were deprived of their cladding and sculptures and filled in with earth up to the vaults to be used as the substructures for other buildings. 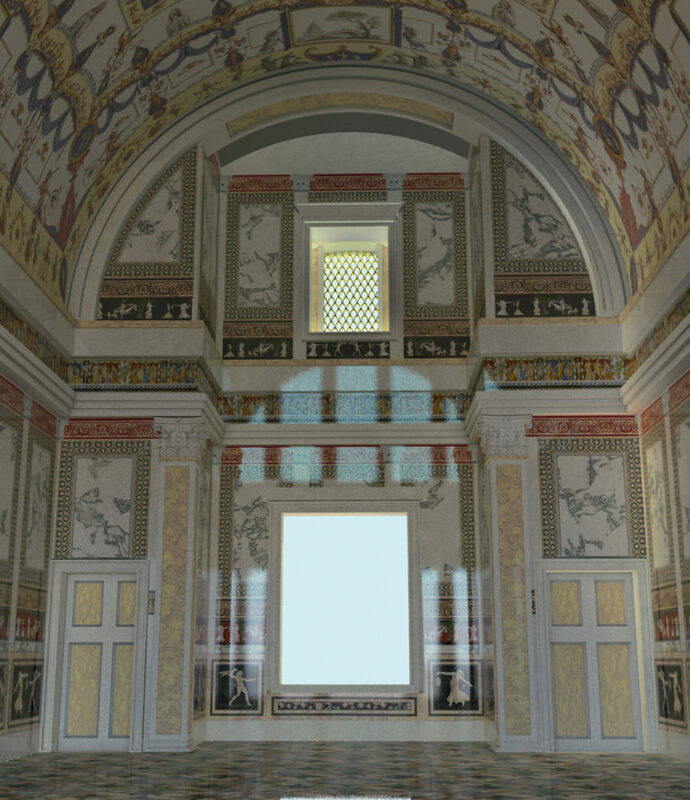 The parts that can be visited today are those on the Oppian hill: these areas were probably used for holding festivities and banquets. 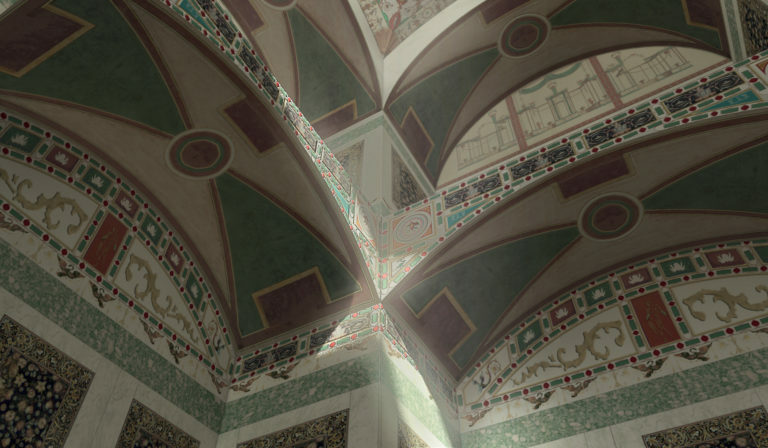 After they were buried, they remained unknown until the Renaissance. 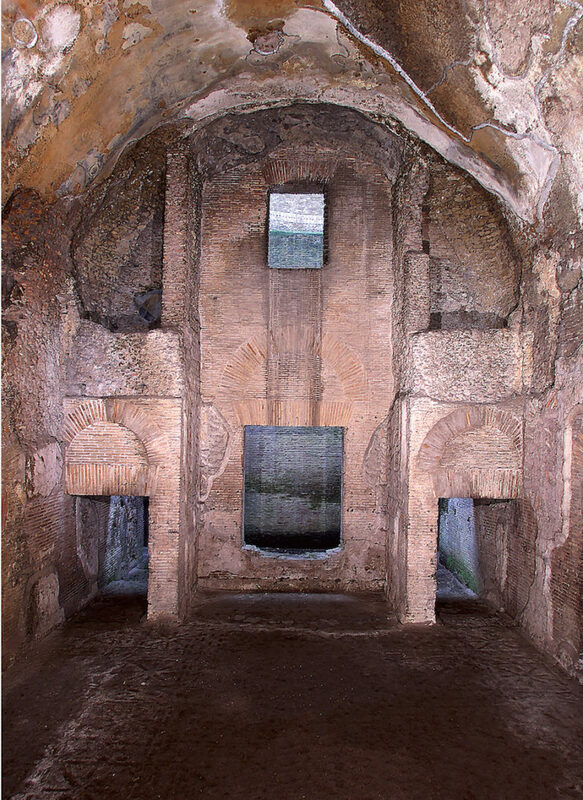 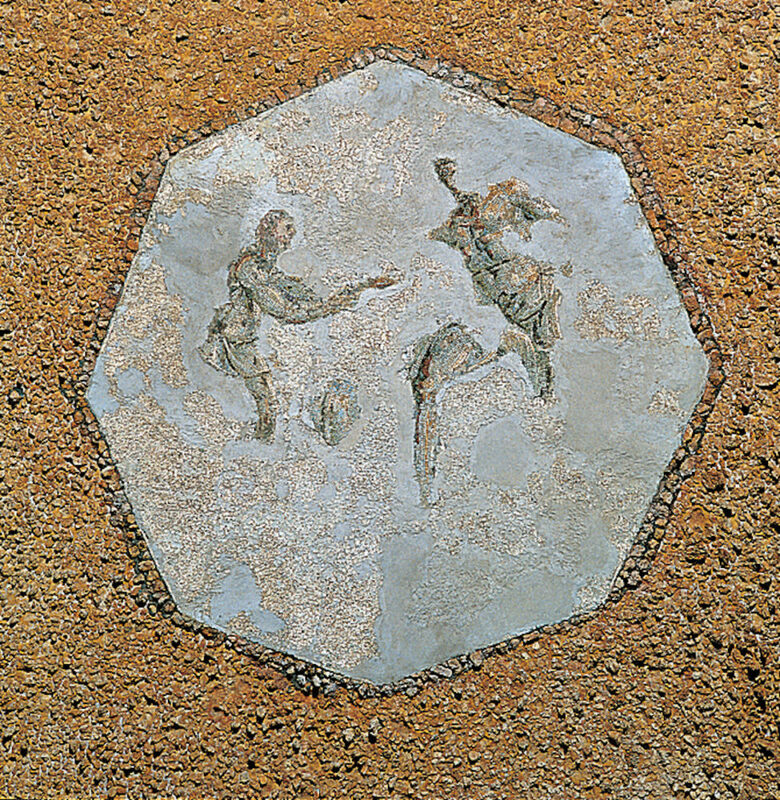 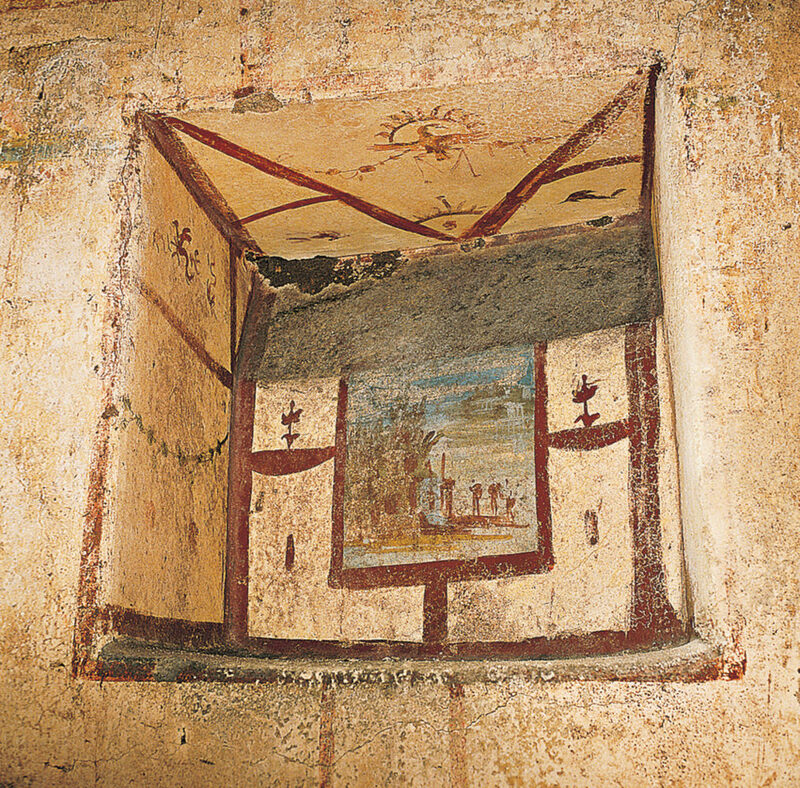 Only then, after some chance discoveries, did artists with a passion for antiquities, such as Pinturicchio, Ghirlandaio, Raphael and Giulio Romano, begin to explore what they thought of as “underground grottoes”, to copy the decorative motifs in them. 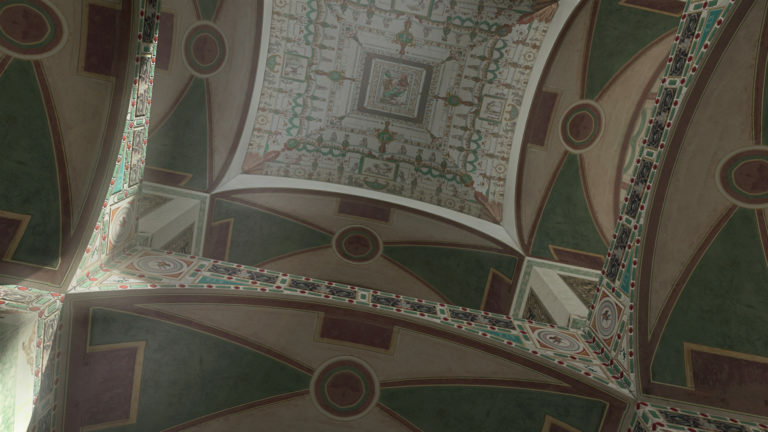 Because of their location, they were called “grotesques.” Even today the term “grotesque painting” is used to indicate a genre, very common above all in the 16th century, which imitates the patterns of Roman wall decoration, reworking and reinterpreting them in playful and imaginative ways. The site is accessible only by didactic tour with reservation required.